Modern life is this week’s theme from Photo Friday and I think I have a good representation of this idea. 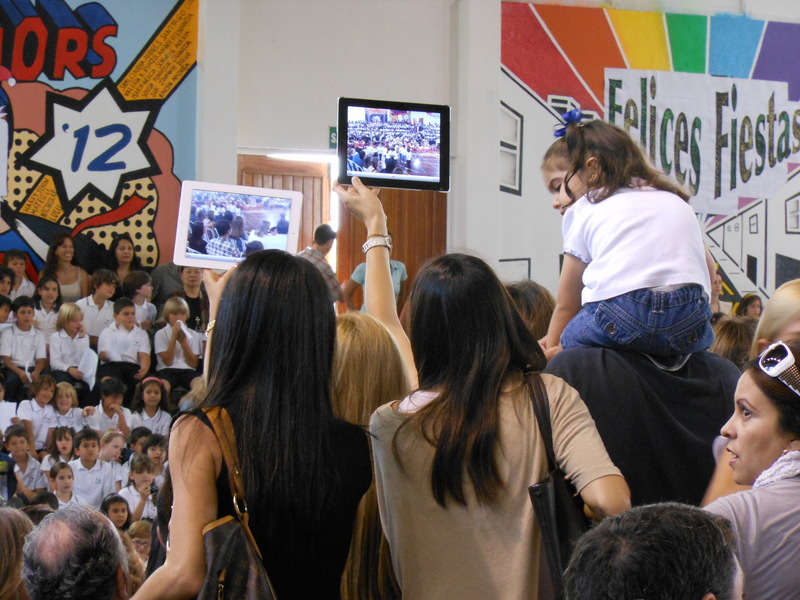 On this December, my lovely wife and I travelled to our children’s School to attend a holiday concert. When my parents were at a school concert and their parents wanted to record their performance for posterity, they had to use either 8mm film cameras or bulky audio tape recorders. When I was in high school working the boards in the drama department, my parents had video camera at their disposal to record my acting prowess. When my kids were younger, our family used digital cameras to record and remember all their darling off-key singing. Truly fascinating how far technology has come around, but the concept is still the same. Proud parents (blocking the view of other parents) trying to capture forever their kids as kids before they grow up. “Quiet” is the theme from Photo Friday. This week’s challenge had a higher degree of difficulty as Peru’s capital city, Lima, is rarely quiet. 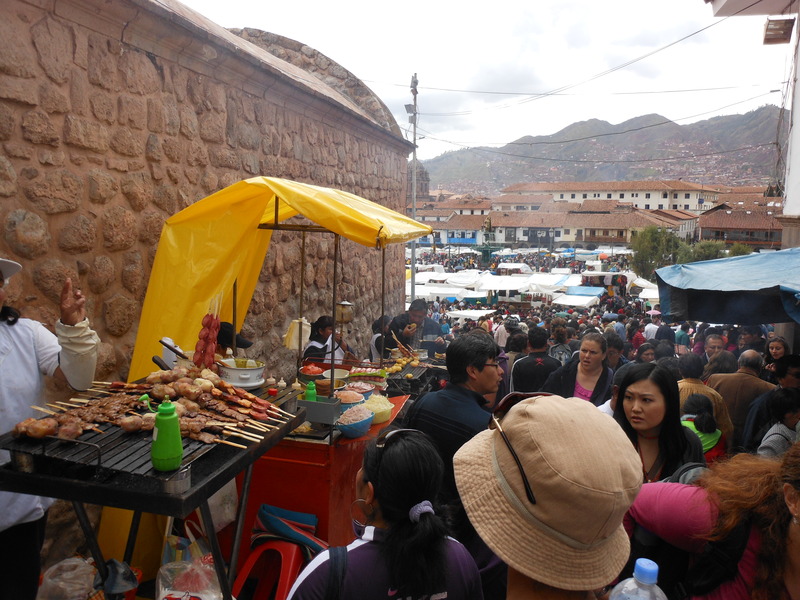 So I delved into the archives from our December 2011 to Cusco, the Sacred Valley, Machu Picchu for some peace and quiet. 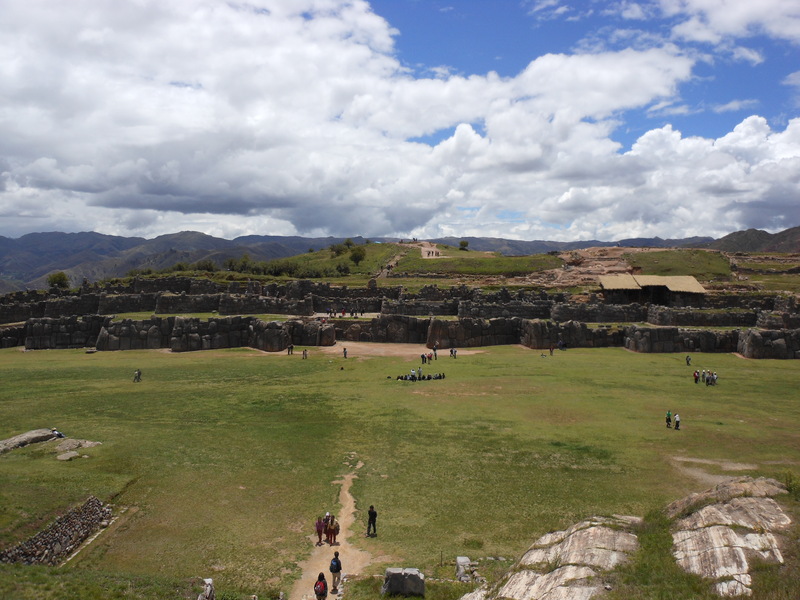 On the last day of our wonderful trip, we visited the ruins of Suqsaywaman. In one area of the site, visitors can climb up a small hill and look ut over the scenery. Because it is such an open space, all voices from the grassy floor below are carried away by the wind leaving you above the people in near silence. From Photo Friday, the theme this week for their weekly photo submission event is “summer colors“. Normally, living as I once did in the United States, summer means the months of June, July, and August. However, residing here in the Southern Hemisphere now means that summer (or verano for those of you with a handle of the Spanish language) encompasses the months of December, January, and February. 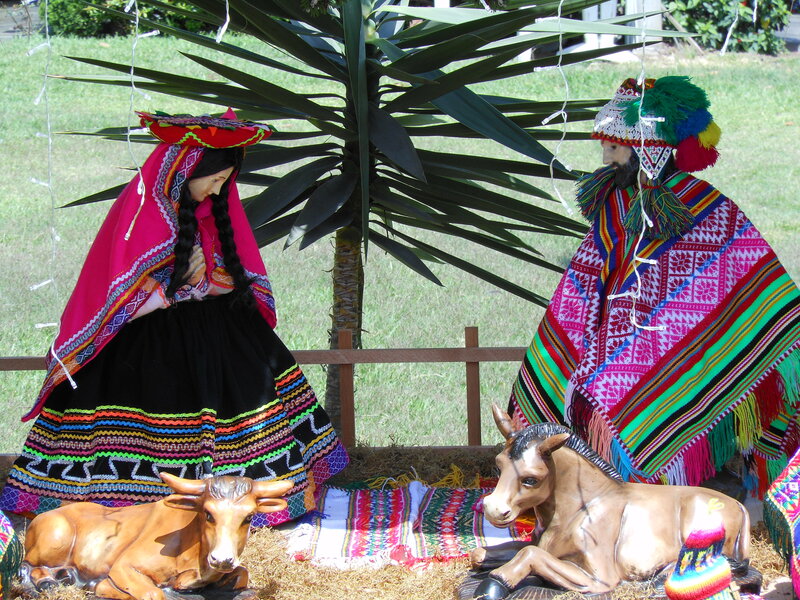 This also means that Christmas falls during the summer, which means that for this theme from Photo Friday, I can offer up this colorful Nativity Scene seen in the Inka Market. 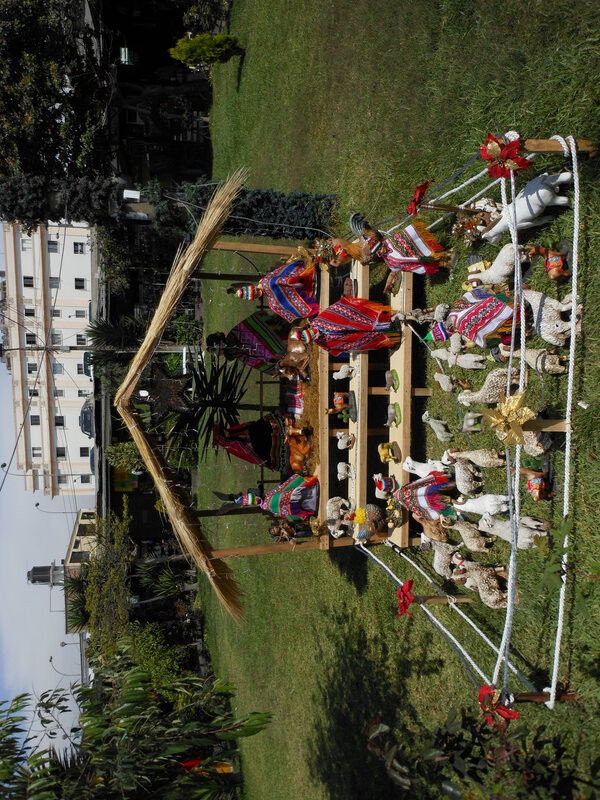 Just in case you’re wondering, like I was, where the baby is in this scene, I was told by locals who know these things that owners of Nativity scenes do not place the baby Jesus in its cradle until the 24th of December. As I was away from this blog for the month of July, I missed four weeks worth of themes and challenges from the wonderful creative minds over at Photo Friday and WordPress. Allow me to play a bit of catch-up as I answer Photo Friday’s challenge of three weeks ago that had “youngster” as its main thesis. While back in the States, I took the time to wander around the National Mall. After strolling around in the 95-(and more)degree heat, I took a rest on a bench. With camera in hand, I took to capturing the scenes that flitted around me on this fine Thursday (albeit hot and humid) day. Below is one such moment. Sippy cup, iPhone, and a bird to watch. What more needs a curious tyke? 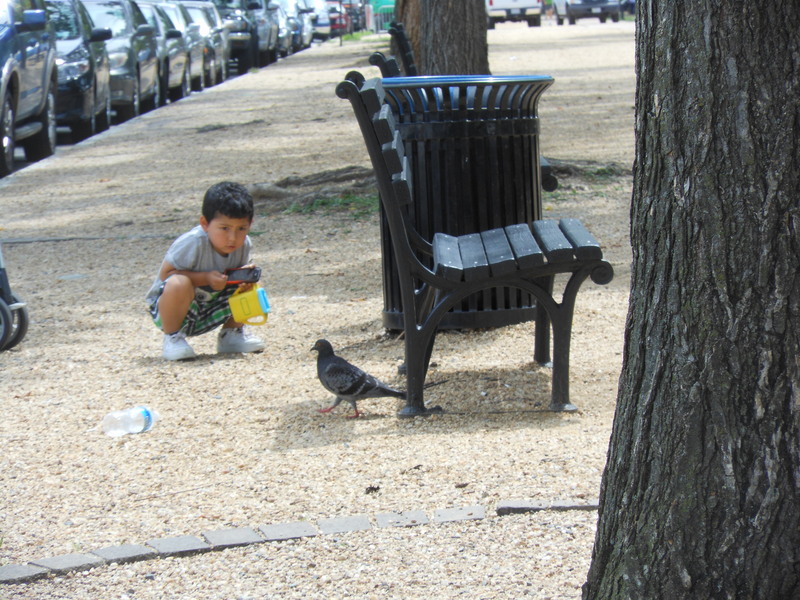 I do so love the look of intensity/curiosity on the boy’s face as he examines his avian neighbor. “Clothing” is the photographic theme this week from Photo Friday. 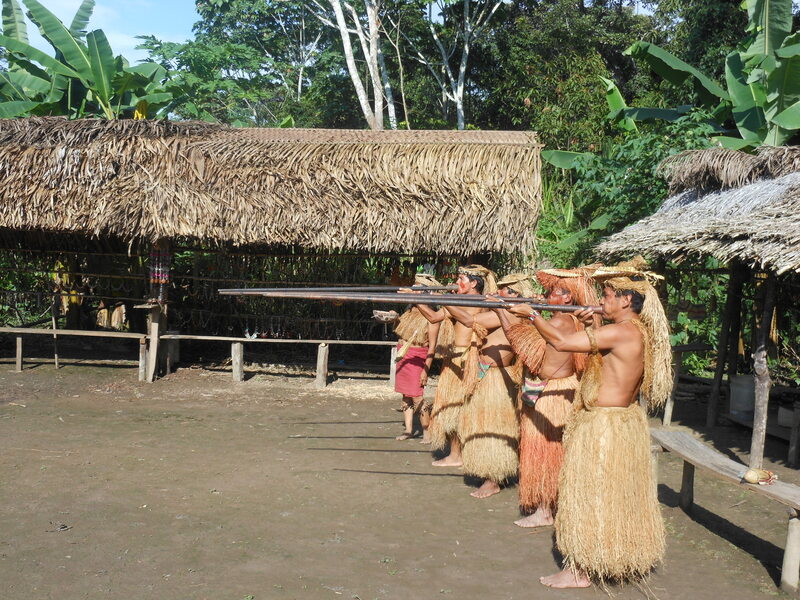 Since I have no sense of fashion, I offer up for this challenge the sartorial styling of the Yagua people of the Peruvian portion of the Amazon jungle. If anyone feels the urge to make a snarky comment about a man in a skirt, you should know these folks are dead-shots with their blow gun darts…and those little darts hurt. “Geometric” is the theme for this week’s photographic challenge from Photo Friday. As much as I wanted to go to my pictures of the stacked stones from our December 2011 trip to Cusco, Machu Picchu, and Saqsaywaman, I thought I would try something a little different. 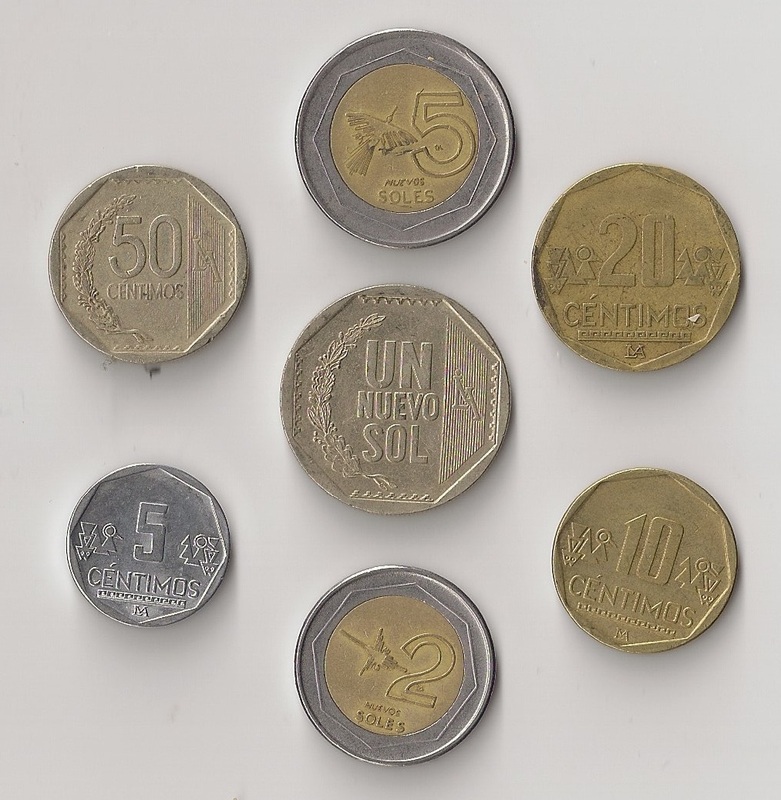 Missing from this monetary family album is the one-centimo coin, which can be found here. “Walk” is the subject for this week from Photo Friday. While I have posted photos about our family’s December visit to Cusco (see here and here and here), I thought I would revisit that wonderful trip with photos that suggest today’s theme. 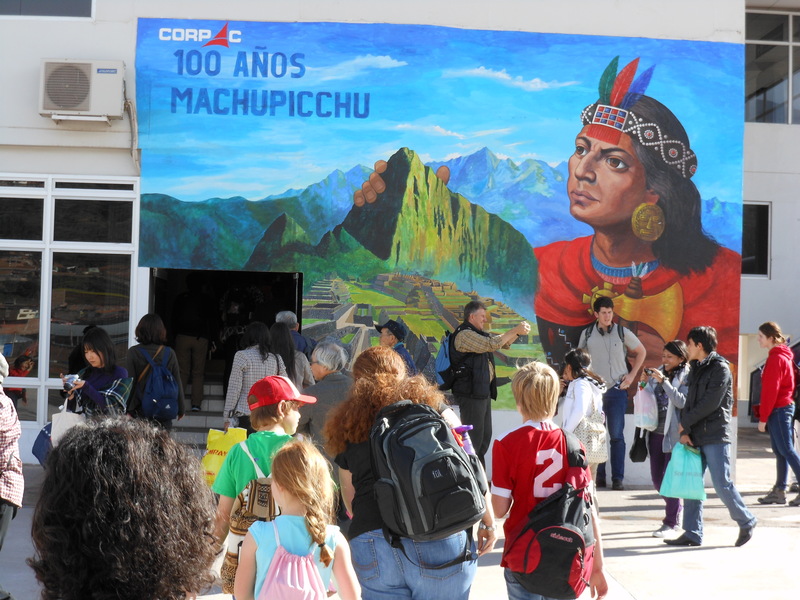 After landing at the airport in Cusco, passengers walking to the terminal to retrieve their luggage are greeted by a mural. 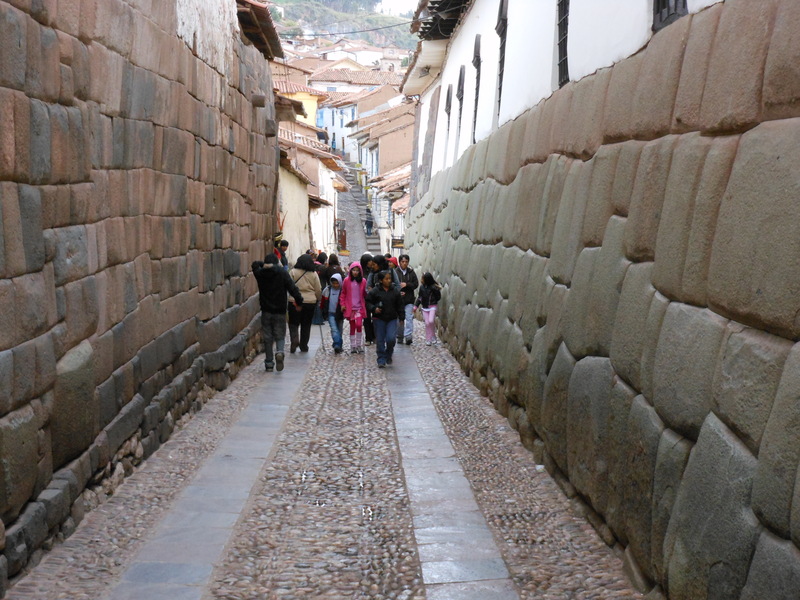 Parts of the city of Cusco are filled with streets so narrow that only one car can barely squeeze through and it takes about four steps to walk across the street. 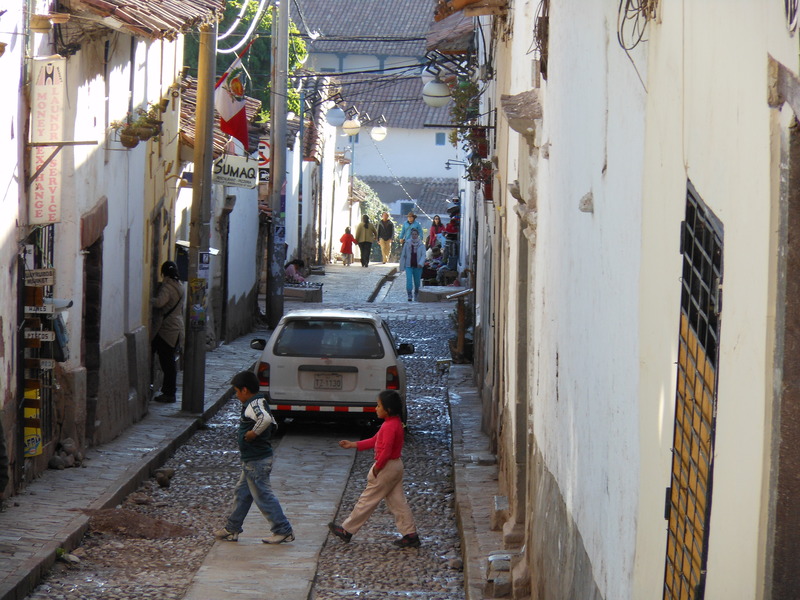 …until you walk up one of the side streets radiating off the Plaza de Armas and wind up in a traffic jam. At least, the food is yummy and smells great to boot. 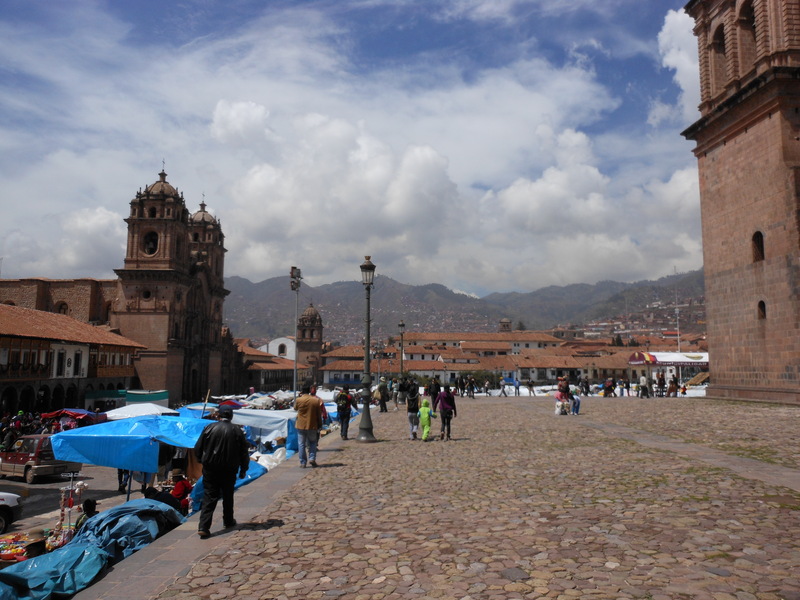 I don’t know if some travel website or magazine offers awards for the best cities to walk in, but I nominate Cusco, Peru.